Many parents feel that they want to celebrate and share their joy of having a child with family and friends but do not feel that they want a traditional christening or religious ceremony. This may be because they do not hold any religious beliefs themselves or because they want their child to be able to choose their own beliefs when they are older. A Humanist Naming Ceremony is non-religious and therefore has no worship or fixed rituals. They are appropriate for anyone who would like a non-religious ceremony. The only guideline is that they do not include any religious content such as prayers or hymns. However, it is possible to have a moment of quiet reflection during the ceremony to enable people with religious beliefs to have a private prayer. 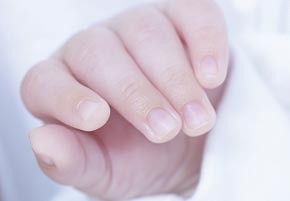 Your Child’s Story – such as: when and where were they born, what their personality is like and why you chose their names? Parental Commitments – promises you would like to make for your child, based on your values and shared aspirations for the future. Family & Friends – this is an opportunity to recognise Grandparents or other significant family members or friends and the special role that they play in your child’s life. Closing Remarks – what is happening next, such as drinks & a toast, cutting of a naming cake?